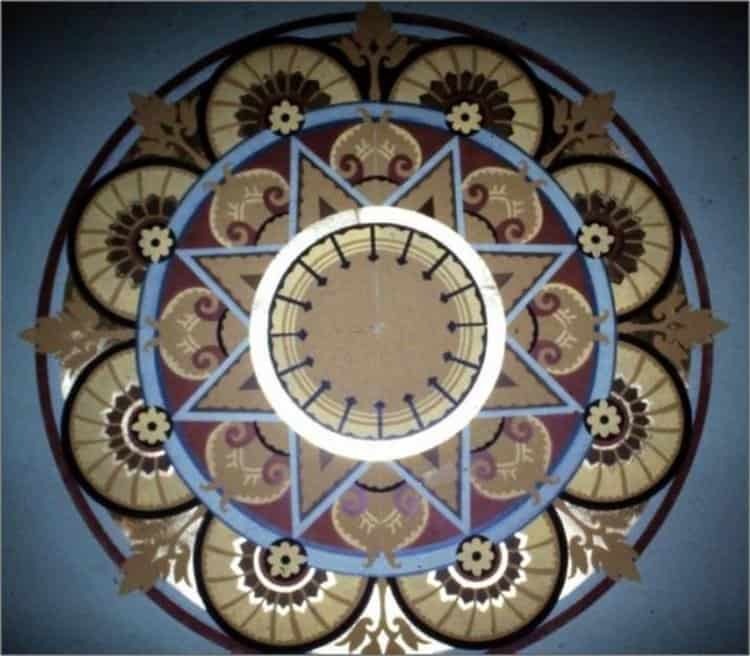 Restoring the Connecticut Capitol: Senate Chamber | John Canning & Co.
As it presently sits, the Senate chamber was not part of the original design. Around 1910 the state government had grown too large for all branches to fit under one roof and it became clear that architectural changes had to be made to better accommodate the growing government. Plans were made to move the Senate from its old location within the Capitol, down the hall to the space occupied by the then State Library. The final phase of reorganization involved moving the library and Supreme Court to their own buildings on Capitol Avenue. Tragically, the decorations of the old library, including the original ceiling and millwork, were demolished, leaving an underwhelming room. With little more than plain plaster walls and some wood trim, the space hailed in comparison to the elaborate decorations McPherson put on display throughout the building. The room remained unadorned until the 1980’s and John Canning & Co was tasked with creating a new design plan to bring historically-accurate decoration to the space. 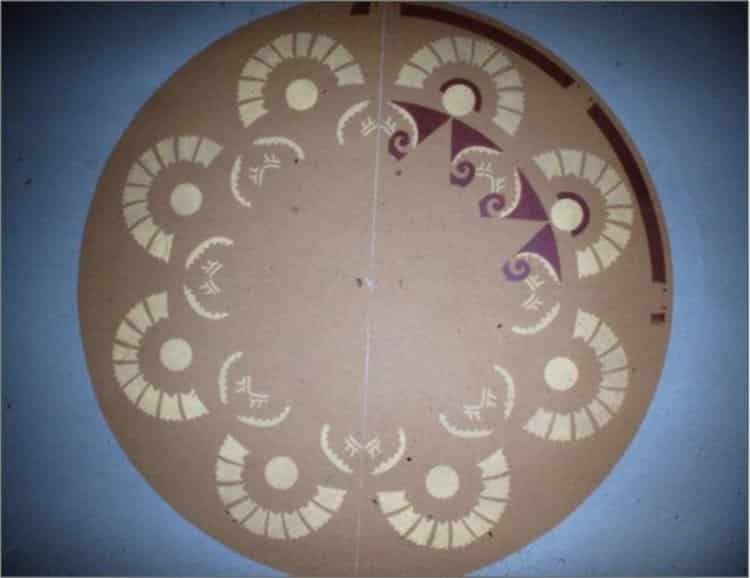 This ambitious plan included designing a new ceiling, creating new stencil patterns and expanding the existing millwork. How does one set about creating a decor scheme worthy of such an architecturally significant building? The answer came by observing the many patterns and colors already seen within the building. 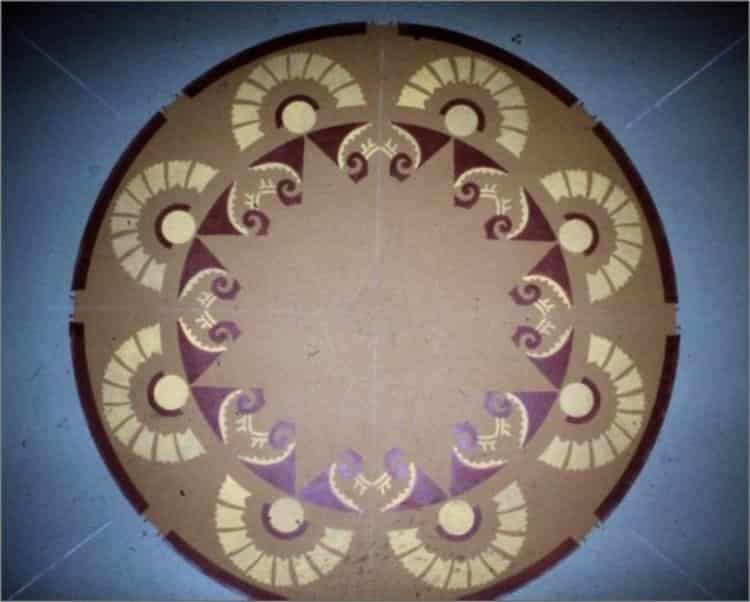 “Borrowed” designs from around the Capitol to created a scheme for the ceiling that would not only look as if it had always been there, but would also be historically reminiscent of McPherson’s work. The work did not stop with the ceiling. Mockups of the new design motifs already within the Capitol would allow a better understanding of how the new designs fit into the space. 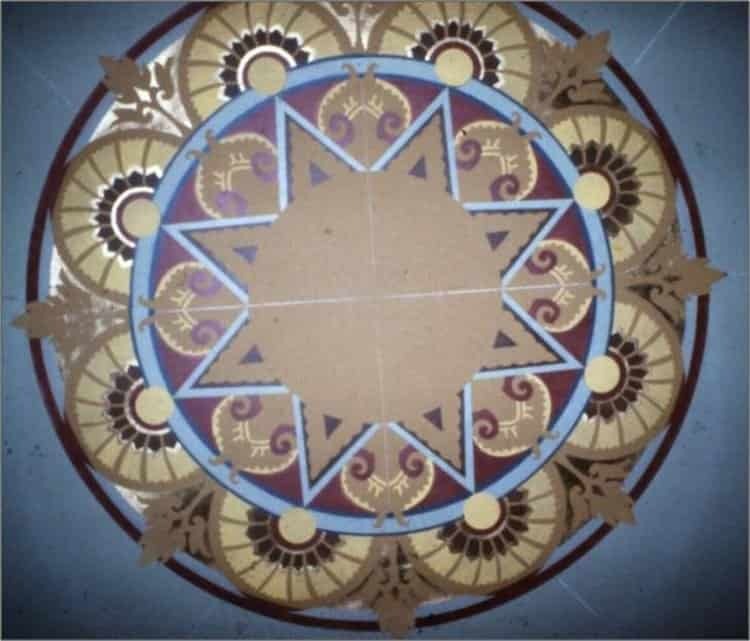 New stencil patterns were designed, similar to the many intricate ones already located throughout the building and colors already found within the Capitol were selected. Each space within the capitol has its own story to tell, but the close link between the current senate chamber and the judiciary room is unique. While not original work of McPherson, these spaces are testament to how meticulous attention to detail can bring about near perfect historic McPherson-esk embellishments, while adapting to modern needs and demands.